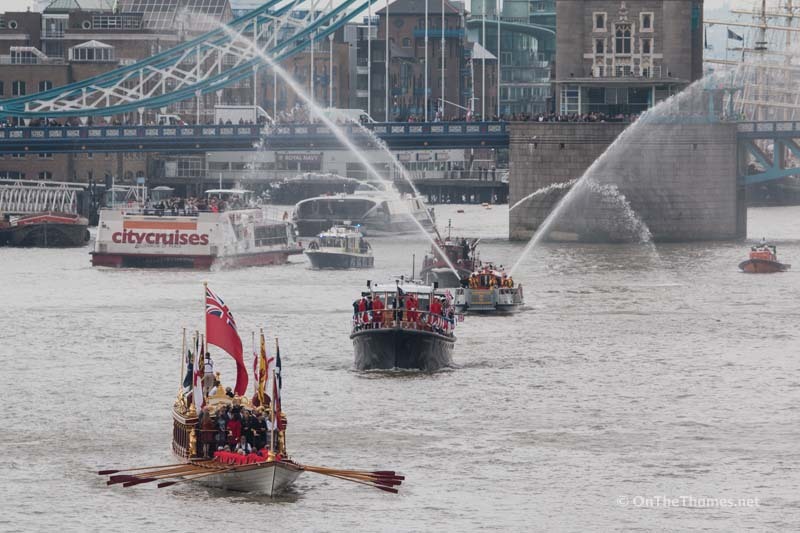 THE RIVER Thames paid its own tribute to HM The Queen as she became the country's longest serving monarch last week (9th September). 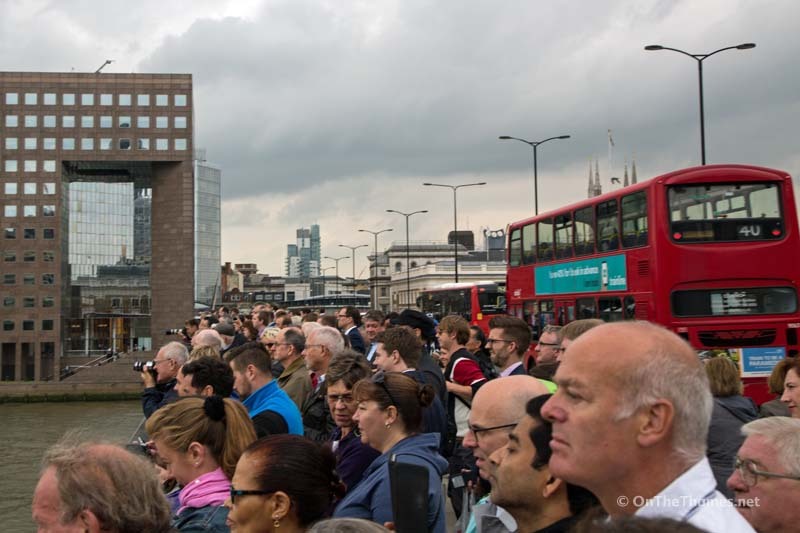 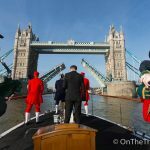 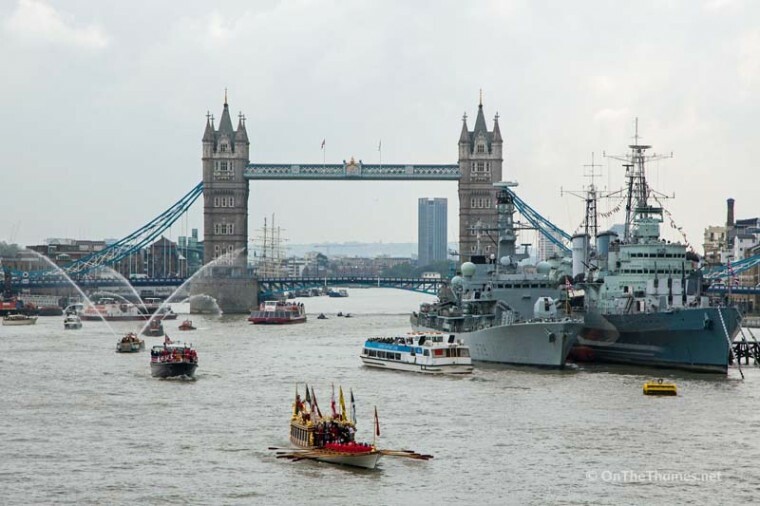 Tower Bridge opened in salute as a small flotilla led by Queen's row barge Gloriana made its up up the Thames from St Katherine Docks to the Houses of Parliament. 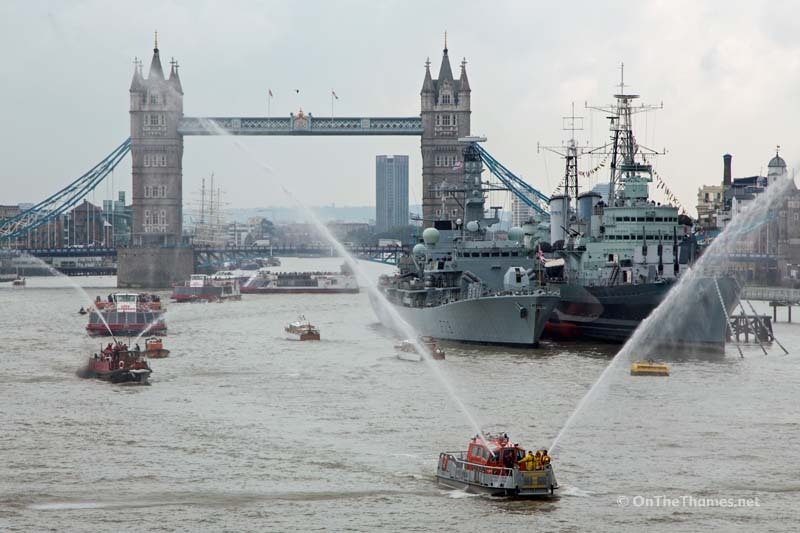 HMS Portland was alongside HMS Belfast, adding to the scene, as the flotilla moved up the Thames to the delight of onlookers packed on to bridges. 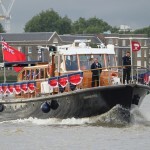 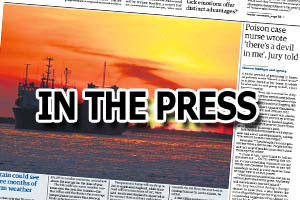 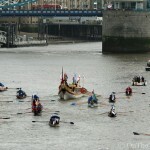 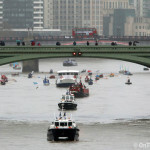 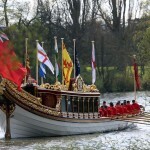 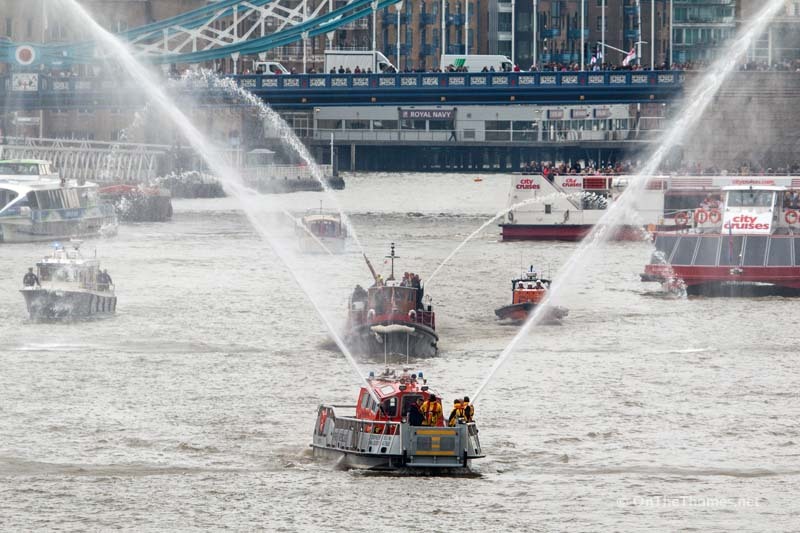 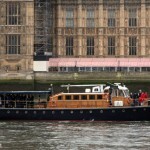 Also in the flotilla was Havengore, famous for carrying Churchill's body on the day of his funeral, and the historic fireboat Massey Shaw which was pumping water. 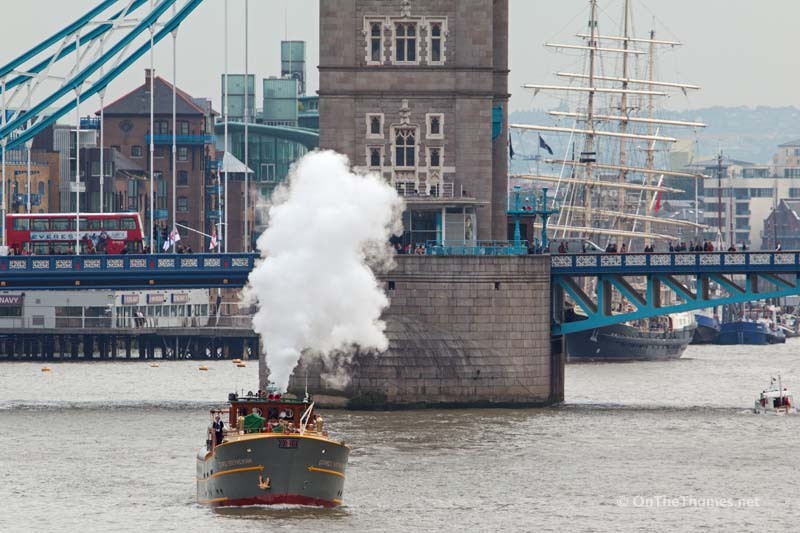 It was joined by the modern fireboat Fire Dart and the steam ship Sir George Stephenson brought up the rear.